I have enormous respect for writers and I don’t subscribe to the auteur theory of film-making. When I direct a film, I don’t try to be the author. It’s self-evident to me that a film is a collaboration, in which, if anyone is the most important contributor, it’s the writer. Still, what the writer has provided is only a stage in the process. What matters is that what is actually on the celluloid is a valuable experience and that there’s a sense of authenticity about what you’ve created (1). There’s a wonderfully bleak, yet humorous moment in Ken Loach’s Raining Stones (1993) that exemplifies his skill and artistry as a filmmaker. Bob (Bruce Jones), an unemployed father in Manchester, juggles one odd job after another in order to scrape together enough money to buy his daughter’s first communion dress. Having earned a nasty black eye in his latest role as nightclub bouncer, Bob visits his brother-in-law Jimmy (Mike Fallon) for help. Jimmy, manager of the local social services office, notices Bob’s eye and stridently jokes, “I hope you got it fighting for the working class.” Bob fires back the dirty look to end all dirty looks. Attempting to shrug off the comment, his eyes nearly scream, “I don’t have time to fight for the working class! I am the working class!” Thematically and stylistically, the scene encapsulates Loach’s characteristic concerns: the struggle of the British working class to achieve life’s basic needs, typically dramatised through the plight of an individual character; the significant impact of public institutions upon personal lives; sensitive performances with an ear for regional dialects and humour; and an unobtrusive yet evocative visual style that illuminates character and place in a naturalistic fashion. Spanning 40 years and nearly 60 films (comprising 17 theatrical features and numerous dramas and documentaries for television), Loach’s oeuvre represents one of contemporary cinema’s most intriguing and thoughtful careers. His finest films remain explicitly political without becoming didactic, deadly serious though leavened by humour, and powerfully emotional even when fueled by the most intellectual ideas. Like the Italian and Czech films he cites as major influences, Loach mines profound insights out of the mundane details of ordinary life, creating a multivalent portrait of the working class seldom seen on film. 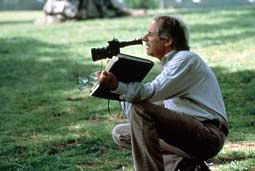 As Vincent Canby suggests, “Loach’s movies may one day provide a more accurate record of a nation’s collective unconscious than the work of any other single director” (2). Kenneth Loach was born in Nuneaton, Warwickshire, near Coventry, in 1936. His father worked as an electrician in a tool machine factory and Loach has remained faithful to his working class beginnings throughout his career. Following two years of National Service (working as a typist in the Royal Air Force), Loach studied law at St. Peter’s Hall, Oxford, where he also became interested in theatre. In fact, by the time he left the university, he had served as president of the school’s Experimental Theatre Club and had lost all interest in law. He briefly acted and directed in several repertory companies near Birmingham, then joined ABC Television as a trainee director in 1961. When the BBC prepared to launch its second channel in 1963, Loach switched networks. In collaboration with story editor-turned producer Tony Garnett, Loach directed a series of stylistically ambitious films for The Wednesday Play that revolutionised British television drama and sparked intense political debate. Both committed socialists, Loach and Garnett hoped that their socially conscious dramas would inspire the working and middle classes to work for revolutionary economic change. At the same time, they synthesised features of Italian Neo-Realism (location shooting, casts of non-professionals) and the French New Wave (jump cuts, disjointed narratives) to produce a new form – the docudrama. 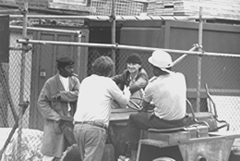 Using documentary techniques to tell fictional stories, the films address a wide range of issues, including homelessness, teenage delinquency, union politics and abortion. This aesthetic innovation achieved an emotional authenticity previously unseen, thereby taking British television off the stage and into the streets (3). Loach and Garnett first gained widespread recognition for Up the Junction (1965), an episodic, freewheeling story of three young working class women in the Clapham section of London. Alternating between humour and grim drama, its most famous sequence depicts a back alley abortion as an omniscient narrator recites current statistics for teenage abortions. 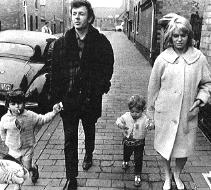 Loach and Garnett’s next film, Cathy Come Home (1966), proved to be the most significant British television event of the 1960s, detailing the disintegration of a young family who become homeless. Once again combining documentary and fiction techniques, the film reveals how failing public institutions tear at the psychological fabric of its patrons. Cathy Come Home‘s final scene, in which social services takes away Cathy’s children, remains one of the most harrowing in all of Loach’s work. Reaching more than six million viewers in one evening, the film sparked a public debate on the issue of homelessness and directly led to the development of the Shelter, a homeless charity still functioning today (4). Boosted by success and increasingly frustrated by the BBC’s bureaucracy, Loach and Garnett produced their first theatrical feature, Poor Cow (1967), through a Hollywood studio. The film wears its Godardian and Brechtian influences too readily on its sleeve, despite an engaging, proto-feminist performance from Carol White. Longing for independence, Loach and Garnett formed their own production company to make Kes (1969). The dark and moving story of a Barnsley boy who trains a kestrel in order to escape his problems of family and school remains a gripping masterpiece (5). Kes also signals a key advance in Loach’s stylistic development. Eschewing the handheld camera, jump cuts, and abrupt sound cues characteristic of the BBC films, Loach adopts a natural, yet controlled visual style that would typify the remainder of his career. Throughout the 1970s, Loach and Garnett alternated between theatrical features and television projects with mixed results. Most impressively, Days of Hope (1975), an epic four-part BBC film, charts the development of the British labour movement from 1916 to the 1926 General Strike. Using three characters to humanise the Marxist polemic at work (Loach and Garnett draw close parallels to contemporary British labour difficulties), the film ignited a debate in film studies over whether classical narrative techniques could successfully inspire revolutionary political action. Garnett dissolved his partnership with Loach at the end of the ’70s to pursue a directorial career in Hollywood. At the same time, Margaret Thatcher’s election created a conservative groundswell, eroding social services and union power. Loach focused on documentaries, as a result, in an effort to directly counter the political onslaught. Unfortunately, throughout the ’80s, Loach’s work repeatedly met with poor distribution and direct censorship. The BBC failed to broadcast his four-part Questions of Leadership (1983), a documentary regarding the 1983 miners’ strike, because of its “lack of balance.” For the South Bank Show, Melvyn Bragg commissioned Loach to make a film about folk music arising from the same strike. However, when Loach included footage of police brutality in Which Side Are You On? (1984), Bragg refused to show it. As Loach remarked at the time, “I’ve spent as much time defending my films as I have making them” (6). Loach experienced a miraculous, creative resurgence in the 1990s with the advent of Channel 4 funding and producers Sally Hibbin and Rebecca O’Brien. His recent films invest warmth and humour in their characters’ plights while allowing political alternatives to develop naturally out of the narratives. Like Cathy Come Home or Kes, they also sympathetically address the issues facing working class families, including union politics (Riff Raff , Bread and Roses ), familial difficulties (Raining Stones, Ladybird Ladybird ), drugs and alcoholism (My Name is Joe , Sweet Sixteen ) and contemporary political struggles (Hidden Agenda , Carla’s Song ). For this remarkable output, Loach has won numerous international prizes and long overdue critical recognition (7). To dramatise this struggle, Loach typically features a single protagonist with a simple goal: Cathy (Carol White) of Cathy Come Home fights to keep her family intact once they become homeless; in Kes, Billy (David Bradley) adopts and trains a hawk to avoid the influence of his failing family and school; Janice (Sandy Ratcliff) of Family Life (1971) tries to preserve a personal identity amid domineering parents and psychiatrists; Stevie (Robert Carlyle) leaves behind a petty criminal past and adopts an assumed name to get hired as a labourer in Riff-Raff; Bob desperately scrambles for the funds to buy his daughter’s communion dress in Raining Stones; Liam (Martin Compston) of Sweet Sixteen sells drugs to earn enough money to rent his mother an apartment upon her release from jail. Once these premises appear, Loach spends the majority of each film illustrating how the current economic system makes achieving these goals hugely difficult. To his great credit, Loach not only criticises the obvious capitalist targets (conservative politicians, exploitative employers, loan sharks and gangsters), but also members of an ailing liberal safety net who either cannot succeed in current conditions or who choose to sell out their constituencies for a profit. Representative examples include the social service workers of Cathy Come Home and Ladybird Ladybird, the abusive headmaster at Billy’s school in Kes, or the ineffective shop stewards of Riff-Raff and The Navigators (2001). As Graham Fuller notes, “betrayal and disenfranchisement of working-class people comes, invariably, at the hands of those who are supposed to protect and support their interests” (8). Loach inspires us to recognise that life doesn’t need to be this way. However, no number of band-aids will remedy the situation. According to Loach, radical economic change is the answer. In the hands of a less-skilled director, such dire and dramatic scenarios would send audiences screaming out of the theatres. However, through an unassuming, yet artistic visual style, careful narrative construction, and sympathetic performances, Loach creates an authenticity that provides a platform for society’s marginalised voices. By emphasising characterisation over ideology, Loach’s political points arise naturally out of emotions and situations rather than lectures. It begins with casting. Often using non-professionals, Loach spends a great deal of time interviewing potential actors in order to ensure that their sensibilities or experiences relate well to the character (9). He rejects Hollywood standards of beauty and casts actors who look and sound like genuine members of the community in which his stories are set. To preserve the integrity of regional dialects, Loach insists that his films (most of which take place in Northern Britain) feature the accents and colloquialisms of the area. Distributors consistently urge Loach to polish the dialogue for commercial viability, but he discards this notion for the sake of authenticity. As a result, for example, both Riff-Raff and Sweet Sixteen arrived in the United States with subtitles (English subtitles for English dialogue!). Humour also makes a significant contribution to the films’ authenticity and serves a dual purpose. First, humour provides a respite for audiences as they deal with the taxing issues raised. Without levity, the grim narratives would feel as false and distanced from reality as a Disney picture. Many of Loach’s most memorable sequences feature ribald comedy: Mr. Sugden’s (Brian Glover) show boat entrance on the football field in Kes to the tune of BBC’s Sports Night; Janice’s weak attempt at art by spray painting the shrubs of her parent’s yard in Family Life; at his mother’s funeral, Stevie’s clumsy depositing of ashes over his relatives in Riff-Raff; Tommy’s (Ricky Tomlinson) drunken exposition of his backside to a police helicopter in Raining Stones. Second, Loach’s films demonstrate that the resilience of the working class depends on their ability to joke, pool resources, and build community. When characters laugh over a pint in a pub, Loach implies that they will persist and survive. Visually, Loach adopts an unobtrusive style that depicts events in a naturalistic, yet pictorial manner. He never shoots in a studio, choosing instead to produce films on location in order to pick up on local details. Loach frames dialogue scenes from medium height and distance, as if the audience sits directly across from the character. Even his few action sequences (i.e. the battles of Land and Freedom (1995) or the loan shark’s death in Raining Stones) appear free of Hollywood histrionics. At the same time, while subtle and well-integrated, Loach does not miss an opportunity to relate important thematic details through mise-en-scène. In Kes, when Billy reads a comic book on a grassy hill, dwarfed by the mining plant in which his brother works, Loach foreshadows the boy’s fate. Similarly, the final lyrical moments of Sweet Sixteen show Liam running rapidly along the beach. Echoing the famous freeze frame that concludes François Truffaut’s The 400 Blows (1959), Loach recalls a cinematic landmark to visualise the ambiguity of Liam’s future. The reference is illustrative without being obvious, an apt description for Loach’s visual style in general. Loach’s most powerful scenes depict large groups of people exchanging and debating ideas, such as the organisation of the strike in The Big Flame (1969), the extended debate over land reform in Land and Freedom, and the argument about whether to join a janitors’ union in Bread and Roses. Despite the obviousness of Loach’s sympathies in each discussion, he provides equal time to all parties and photographs the conversations from a balanced, democratic perspective. Camera angles don’t create strength for the viewpoints, but rather the ideas presented do. An inverse of Hitchcock’s simplistic notion of pure cinema (these scenes truly are “pictures of people talking”), Loach aims to demonstrate the strength of communal experience. The collision of ideas and viewpoints synthesises into a more powerful force than any individual contribution could. Communal debate also defines the way in which Loach produces his films. Unlike most directors who routinely overstate the importance of their personal achievements, Loach carefully refers to his films as team efforts and celebrates the contributions of his collaborators. In interviews, he stresses “we” and “us” over the authoritative “I”. As Loach explains, “The way you make a film is an important way of validating the ideas in it” (10). 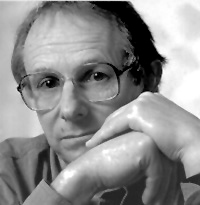 Throughout his career, Loach has denied his status as an auteur, pointing out the strength of his stock company of collaborators instead. Producer Tony Garnett secured funding for difficult projects and provided instructive guidance on the development of scripts. Writers Nell Dunn, Jeremy Sandford, Jim Allen and Paul Laverty provided dramatic scenarios structured by Loach’s ideological framework. Cinematographers Chris Menges and Barry Aykroyd refined Loach’s visual sense and captured images in an authentic fashion. Recently, producers Sally Hibbin and Rebecca O’Brien planned the appropriate financing for Loach to remain as prolific as his talent warrants. Still, Loach stands as an embodiment of the politique des auteurs. Despite political ebb and flow, fickle artistic trends and film financing difficulties, he remains steadfast in his commitment to progressive ideals and a personal cinema. Loach’s films are art of the highest order. While exposing the failings and limitations of human experience, they also provide a path to change and progress. His body of work firmly celebrates the fact that life is worth living. While no single comprehensive bibliography on Loach’s career exists, George McKnight’s Agent of Challenge and Defiance contains the most exhaustive example (current through 1997). Geoff Brown, “Paradise Found and Lost: The Course of British Realism” in Robert Murphy (ed. ), The British Cinema Book, London, British Film Institute, 1997, pp. 187–197. Robert Brown, “Continuing…the State of Things”, Monthly Film Bulletin, vol. 50, no. 588, January 1983, p. 11. Ian Christie, “Film For a Spanish Republic”, Sight and Sound, October 1995, pp. 36–37. Graham Fuller (ed. ), Loach on Loach, London, Faber and Faber, 1998. Jonathan Hacker and David Price, Take Ten – Contemporary British Film Directors, New York, Oxford University Press, 1991, pp. 272–309. Jacob Leigh, The Cinema of Ken Loach: Art in the Service of the People, London, Wallflower Press, 2002. G. Roy Levin, Documentary Explorations: 15 Interviews with Film-makers, Garden City, Doubleday & Co. Inc., 1971, pp. 95–110. Geoffrey Macnab, “Ladybird Ladybird”, Sight and Sound, November 1994, pp. 10–14. George McKnight (ed. ), Agent of Challenge and Defiance: The Films of Ken Loach, Westport, Praeger Publishers, 1997. Julian Petley, “An Interview with Ken Loach”, Framework, no. 18, 1982, pp. 9–12. Julian Petley, “Ken Loach” in Nicholas Thomas (ed. ), International Directory of Films and Filmmakers – Vol. 2 Directors, Chicago, St. James Press, 1992, pp. 522–524. Julian Petley, “Ken Loach – Politics, Protest & the Past”, Monthly Film Bulletin, vol. 54, no. 638, March 1987, p. 94. Richard Porton, “The Revolution Betrayed: An Interview with Ken Loach”, Cineaste, vol. 22, no. 1, 1996, pp. 30–31. Leonard Quart, “A Fidelity to the Real”, Cineaste, vol. 10, no. 4, 1980, pp. 26–29. Jeremy Sandford, “Cathy Come Home” in Alan Rosenthal (ed. ), The New Documentary in Action: A Casebook in Film Making, Berkeley, University of California Press, 1971, pp. 164–175. Jane Slaughter, “Revolution is a Pregnant Cow”, The Progressive, July 1996, pp. 30–33. Gavin Smith, “Voice in the Dark”, Film Comment, March–April 1988, pp. 38–46. Gavin Smith, “Sympathetic Images”, Film Comment, March–April 1994, pp. 58–67. John Wakeman, “Ken Loach” in John Wakeman (ed. ), World Film Directors 1945–1985, New York, H.W. Wilson Co., 1988, pp. 593–597. Alexander Walker, Hollywood UK: The British Film Industry in the Sixties, New York, Stein and Day, 1974, pp. 373–383. A wide variety of articles (mostly mediocre) regarding Loach and his work appear on the web. The following resources offer something more substantive than the typical career summary, film review, or press junket article. From the Daily Telegraph, Ken Loach discusses his appreciation for the Czech New Wave and Forman’s A Blonde in Love, in particular. From Derek Malcolm’s Century of Films series on Guardian Unlimited, a beautiful appreciation of Loach’s masterpiece. Loach’s personal choices for Sight and Sound’s Top Ten Poll 2002. Photo gallery retrospective of Loach’s career from the British Film Institute, including many comments from Loach and his collaborators. Dissertation by Dave Nicholls that examines Loach’s contributions to the development of contemporary British realism. Ian Davies provides a detailed appreciation of Loach’s film about the Spanish Civil War. Following the release of My Name is Joe, Cineaste published this interesting, career-spanning interview. Another thought-provoking Cineaste interview with Loach after the release of Land and Freedom. Website for Loach’s current production company with collaborators Rebecca O’Brien and Paul Laverty. A number of online articles can be found here. Graham Fuller (ed. ), Loach on Loach, London, Faber and Faber, 1998, p. 18. John Wakeman (ed. ), World Film Directors Volume Two 1945–1985, New York, H.W. Wilson Co., 1988, p. 596. Interestingly, Loach never cites the Free Cinema movement as an influence, despite the striking similarities in both style and content to his work. Launched in the mid-’50s by British directors Karel Reisz, Lindsay Anderson and Tony Richardson, Free Cinema’s non-fiction films utilized a distanced, observational visual style (achieved through new, light equipment) to document overlooked segments of society. In O Dreamland (Lindsay Anderson, 1953), a montage of a day at an amusement park becomes a study in popular culture. Momma Don’t Allow (Karel Reisz and Tony Richardson, 1956) features a revealing, inside look at a London jazz club. When the filmmakers began to produce commercial films, such as Saturday Night and Sunday Morning (Karel Reisz, 1960) and This Sporting Life (Lindsay Anderson, 1963), the combination of fictional and non-fictional techniques created the much-discussed “kitchen sink realism.” Loach’s early films certainly operate in similar ways, but their explicit political commitment and lack of Method histrionics elevate them above Swinging London-era films. Cathy Come Home‘s impact continues today. In December 2001, BBC Choice rebroadcast the film and Shelter seized the screening as an opportunity to remind both politicians and the public of the continuing problems for homeless families. See Shelter’s press release at http://www.shelter.org.uk/about/press/viewpressrelease.asp?PressReleaseID=74. Jonathan Hacker and David Price, Take Ten – Contemporary British Film Directors, New York, Oxford University Press, 1991, p. 273. To name just a few of Loach’s many recent awards: Hidden Agenda won the Special Jury Prize at the 1990 Cannes Film Festival; Riff-Raff won the Felix award for Best European Film of 1992; Raining Stones won the Cannes Special Jury Prize for 1993; Land and Freedom won the FIPRESCI International Critics Prize and the Ecumenical Jury Prize at the 1995 Cannes Film Festival; Peter Mullan won Best Actor at the 1998 Cannes Film Festival for My Name is Joe and Loach won the British Independent Film Award for Best Director; Paul Laverty won Best Screenplay at the 2002 Cannes Film Festival for Sweet Sixteen. For example, Loach and Garnet found David Bradley for Kes in the Barnsley school where the story takes place. Twenty-five years later, Loach continued this practice and interviewed between 200 and 300 women to play the lead in Ladybird Ladybird. Crissy Rock earned the part for her energy and her ability to improvise (developed as a stand-up comic). She also experienced abuses similar to those of her character Maggie. Mike Robins is an Arizona-based filmmaker and writer. He is the director of Three Flat (1998) and The Boy in the Baseball Cap (2001) and the author (with Robert N. Gilbert) of Welcome to Our World: Realities of High School Students (Corwin Press, 1998).